The town is seeking a state grant to help with the upkeep of the historic Old Burying Ground on Beach Road. 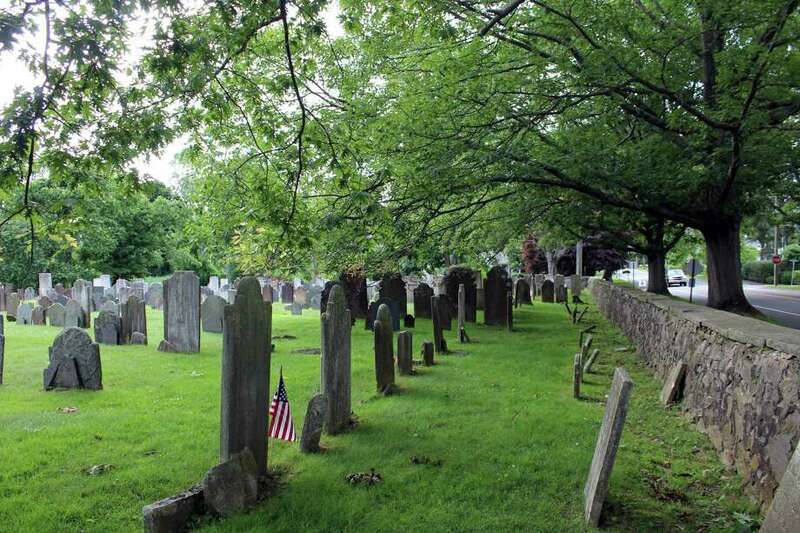 FAIRFIELD — The town is seeking a state grant to spruce up the historic Old Burying Ground on Beach Road, the final resting place for many of Fairfield’s early settlers. Community and Economic Development Director Mark Barnhart said the maximum grant from the state Office of Policy and Management is $2,000, and can be used to do maintenance work, like straightening and cleaning head stones and tree trimming. The Board of Selectmen gave its unanimous approval to the grant application on Wednesday. The Board of Finance and the Representative Town Meeting do not need to approve the application for funding. Barnhart said he has received guidance from Michael Jehle, director of the Fairfield Museum and History Center, in filling out the paperwork. He said the grant would be used for work the Public Works Department isn’t comfortable doing — work outside of routine maintenance like mowing the grass. “I’d really like to see that money reach out to the DAR or other town groups that have been maintaining the cemetery at a higher level than Public Works, and try to fund some of the projects which on their to-do list,” Selectman Chris Tymniak said. Tymniak said the grant money would be a “great way” to work collaboratively with other groups. Barnhart said ordinary maintenance is not covered by the grant. “I think the intent would be to hire someone from outside to do work that is more specialized, like cleaning the headstones,” he said.